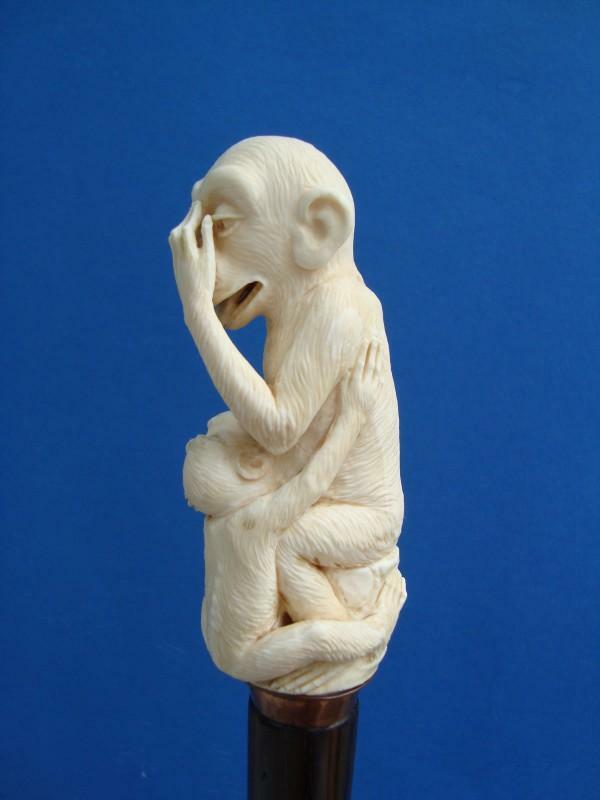 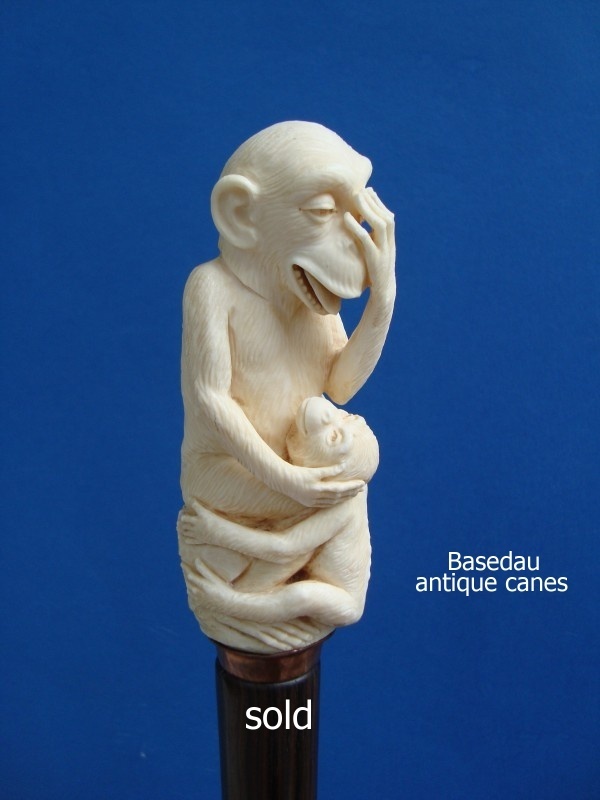 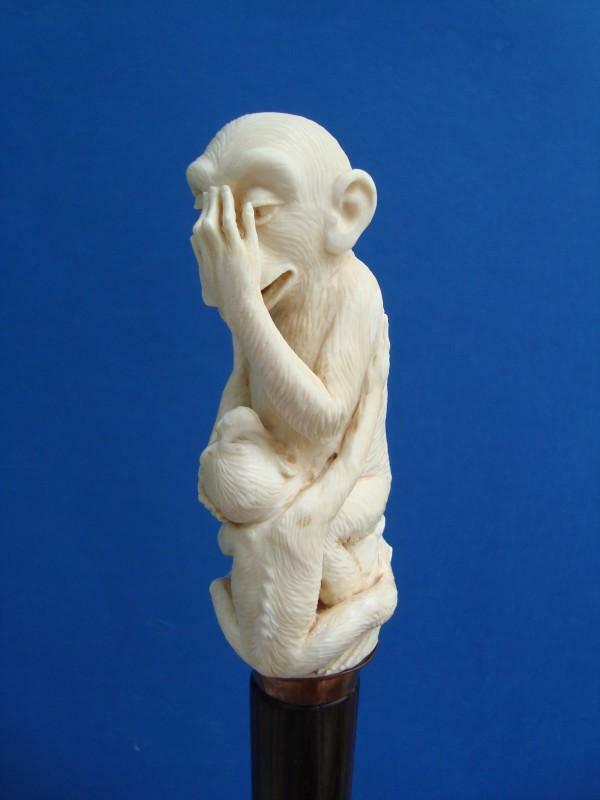 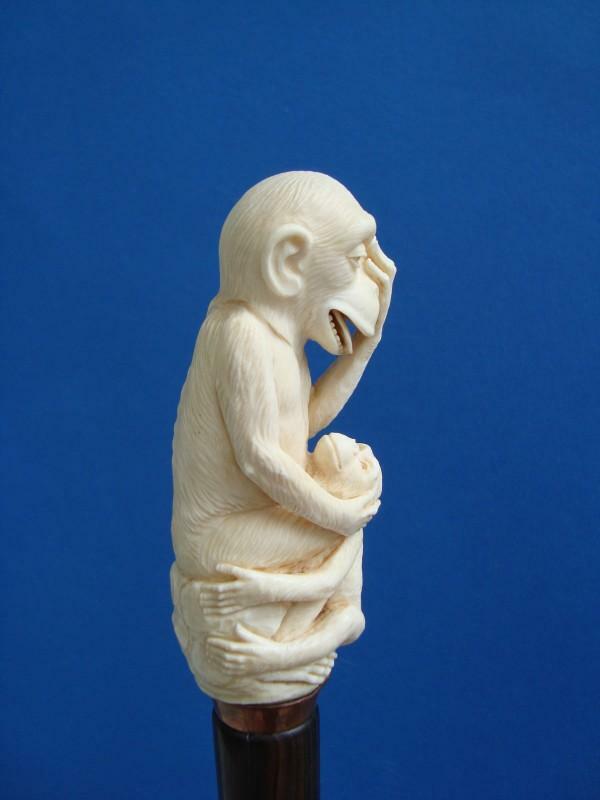 Antique cane with an ivory carved handle sculped as a mother monkey which is amused about her child sitting on its lap second half 19th century, probably Germany. 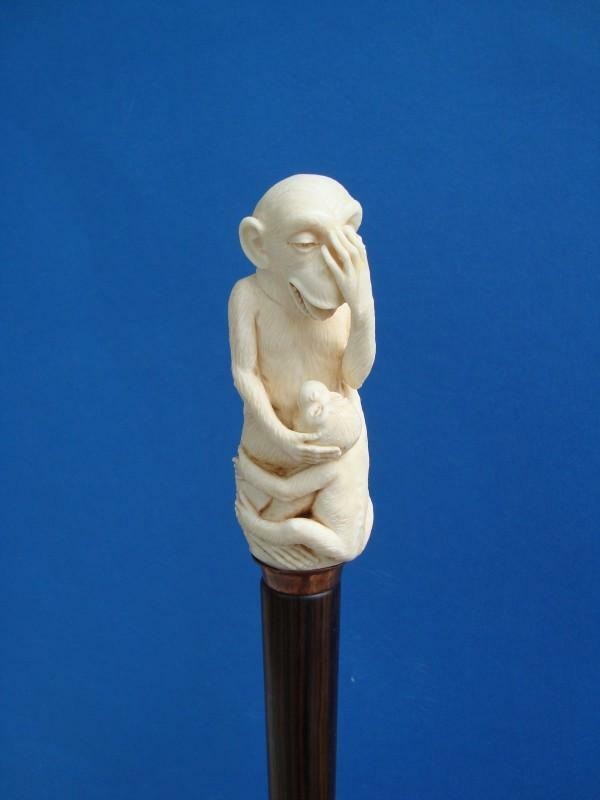 The handle is fitted on a copper collar and ebony shaft. 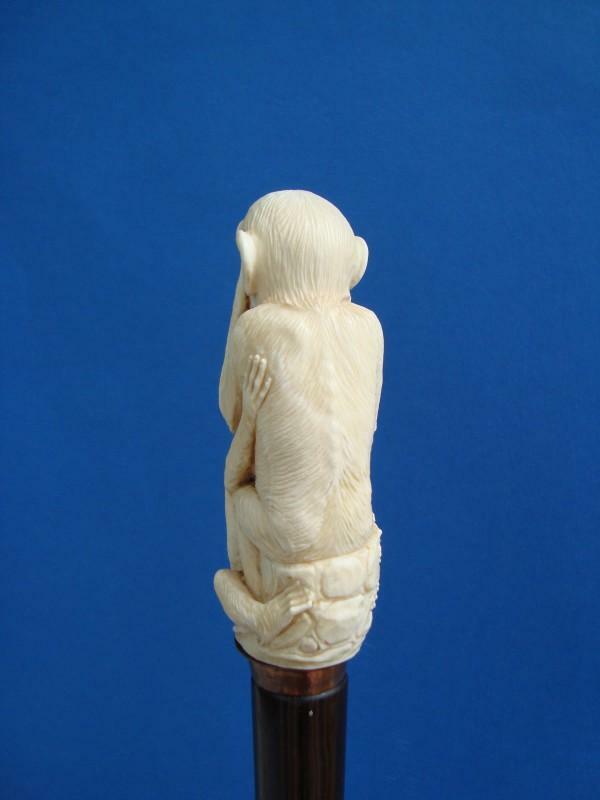 Measures of the handle: W.14 cm H. 6 and 4 cm, overall length 93 cm.